This workshop is now over. We had a great response to the workshop and will be shortly announcing dates for two workshops in KL this year which will be MRI Upper Limb and Spine MRI. If you would like to be informed of opening of registration please fill in your details on our home page. We also have MSK MRI Workshops in Dubai, Manila and Bangkok which are open for registration. Please see our upcoming workshops page. 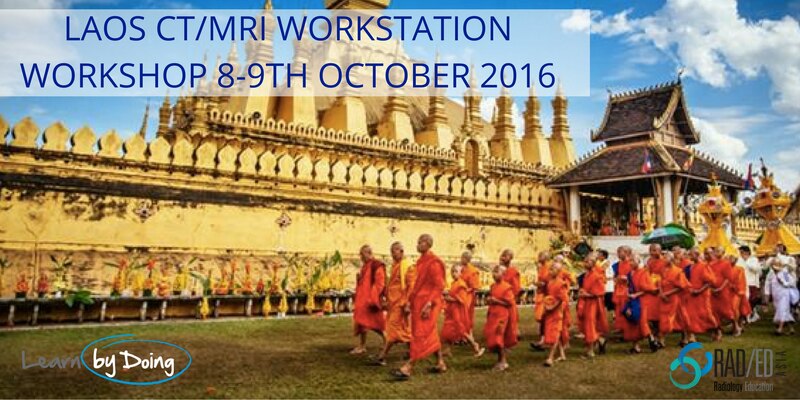 We will be holding a 2 day CT/ MRI Workstation Based Workshop in Vientiane, Laos on the 8th and 9th of October 2016. The workshop will cover Spinal and Cerebral trauma assessment with CT and MRI, Cerebral Tumours and Infection, MRI of the Shoulder and MRI of the Spinal Cord and Infections. This is a private event for radiologists from Laos who have already been invited and not open for general registration. If you have already received an invitation, please register on the link below and we will be in touch with details about the event. As with all our workshops, this workshop will be based on workstation learning which is the best way to learn and retain information and gives you the most exposure to viewing and assessing MRI pathology in a short period of time.